Bridgton Hospital, which houses Bridgton Internal Medicine, Dr. Peter Leighton's practice. But in the western Maine town of Bridgton, several local doctors have teamed up with a substance abuse and mental health agency to offer intensive outpatient drug treatment in their regular practice. Their combined caseload is now more than 200 strong and growing. In part two of our series “Recovery in a Small Town,” one doctor says the work has been life-altering not just for his patients but for him as well. It’s a busy Thursday afternoon at Bridgton Internal Medicine and Dr. Peter Leighton is seeing a relatively new patient who’s being treated for a 13-year addiction to opiates. Nicole, who asked that her last name not be revealed, says she started using pills that she got from friends in high school. And then she progressed to heroin. “Are you having any significant craving for opiates on your current dose of Suboxone?” Leighton asks Nicole. “Nope. Nope. I like how we do it. Like I do my morning dose, see you and then you give me my afternoon. I like it that way,” she says. A few months ago Nicole says she realized she needed help. She’s 28 years old and has two kids under the age of 6. Nicole decided not to go to a methadone clinic about 40 minutes away or to an out-of-state rehab but to try Suboxone in combination with mandatory, intensive outpatient therapy. So far, she says she’s doing well. 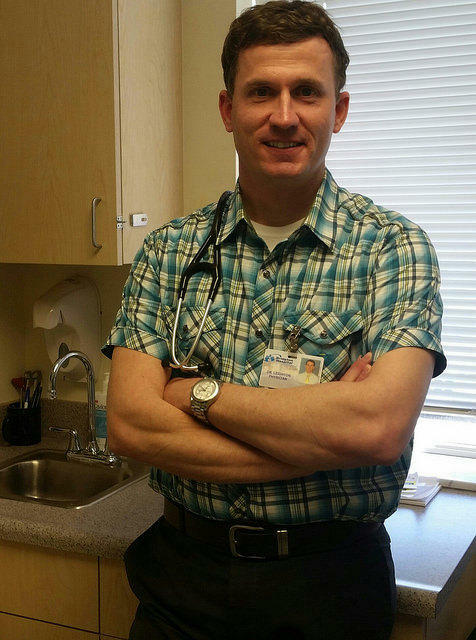 Leighton, whose specialty is internal medicine, was trained and certified to prescribe Suboxone two years ago. He’s now devoting two days a week of his practice to treating patients like Nicole. Until a few years ago, Leighton says he had no idea how heroin was ravaging his community. Now he’s a member of the Greater Bridgton Substance Abuse Coalition, a task force that’s working to identify drug prevention strategies, reduce the stigma of addiction and expand access to treatment. At a recent meeting Leighton told the panel that treatment should include two key elements. “I would argue that medication-assisted treatment is really the standard of care now for opiate abuse, in combination with psychosocial support,” he says. Leighton says he has become a huge fan of this model. In just two years he’s watched patients turn their lives around, go back to work, reconnect with their families and dramatically reduce their risk of dying from an overdose. 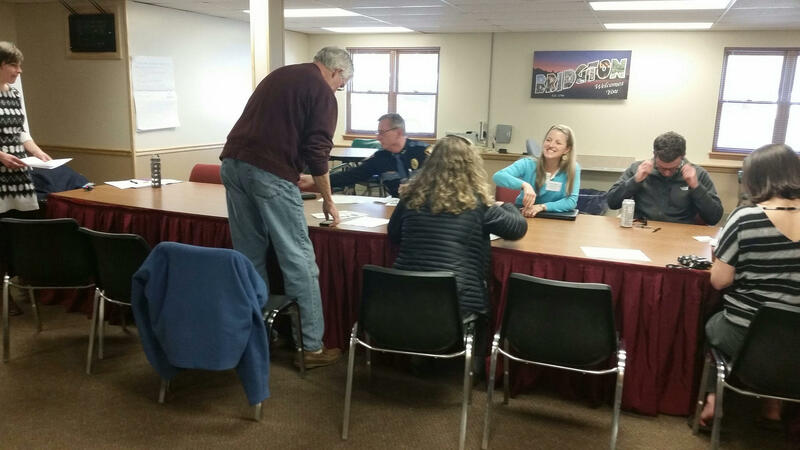 The Greater Bridgton Substance Abuse Coalition meets recently. He says one of his patients has lost 14 friends to overdose in Maine since the beginning of the year. “The hardest part, I think, for us sometimes is we have to wait to get them in. They have to be enrolled in counseling,” says Sasha Gagne, Leighton’s medical assistant and a member of Bridgton’s substance abuse task force. Gagne says most patients do get into treatment, but timing is critical. Leighton says he makes it a point to get to know each of his 80 or so Suboxone patients and sometimes their kids. One of his first patients was a 32-year-old woman with two young sons who were very protective of her. She had some difficult struggles in her personal life and Leighton says she’d often draw elaborate profiles of people on the paper covering his exam room table while she waited for him. Last fall she dropped out of treatment. And then last week Leighton learned she overdosed and died. It was his first such loss. Leighton says he’s frustrated that the state has not expanded Medicaid to allow more people to access medication-assisted treatment. Lack of insurance is a huge problem for people, he says. As is transportation, especially in rural Maine. And he says the shortage of doctors who prescribe Suboxone has become a barrier. The federal government is considering a proposal to lift a 100 patient limit for Suboxone providers. And Leighton has already pledged to take on as many more patients as allowed. 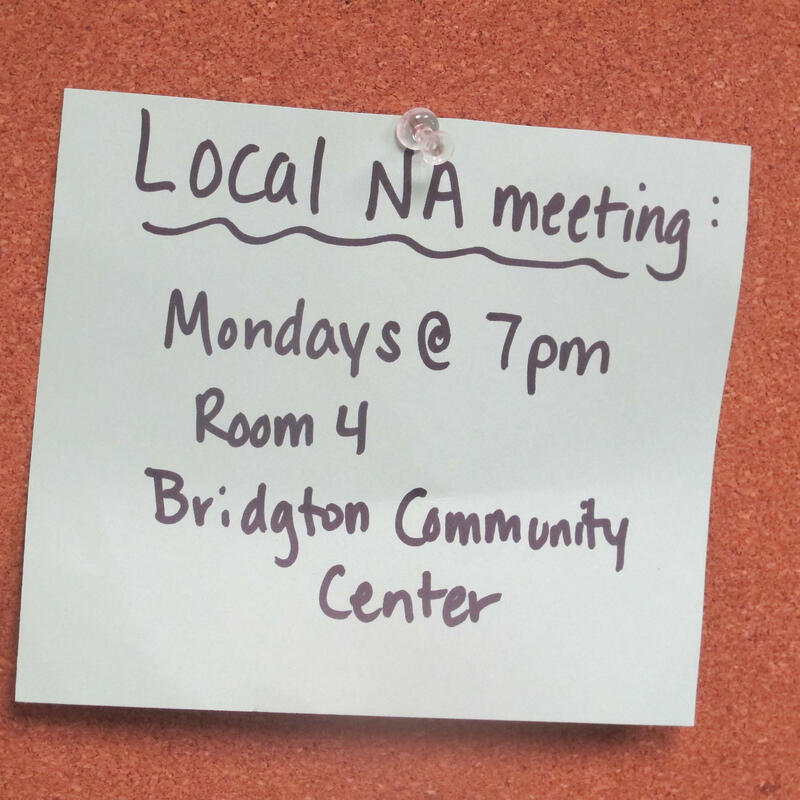 Tomorrow, a look at why some primary care doctors in Bridgton were initially reluctant to provide treatment for addiction, and why they have since changed their minds.